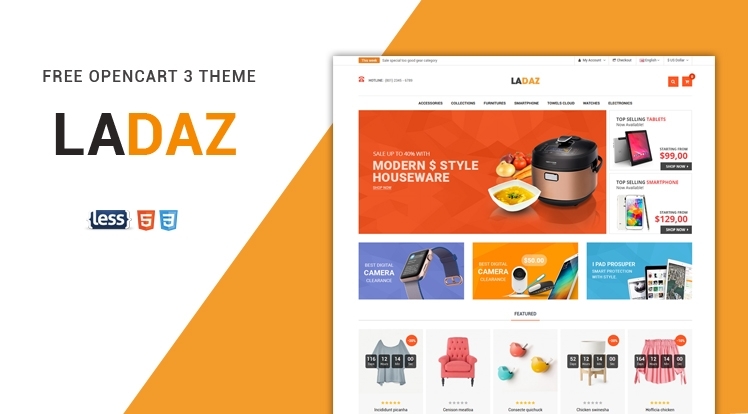 So Ladaz - Free Responsive OpenCart 3 Theme is specially designed for eCommerce sites such as electronics, mobile, home accessories, computers and match any online store. Now it is totally FREE for any customers who are fascinated with this awesome OpenCart theme. This package includes theme, modules, plugins and sample data. By using this package, you will have a complete site look like demo site.